Google Glass: Victory for Virtual Reality, or a Disastrous Distraction? 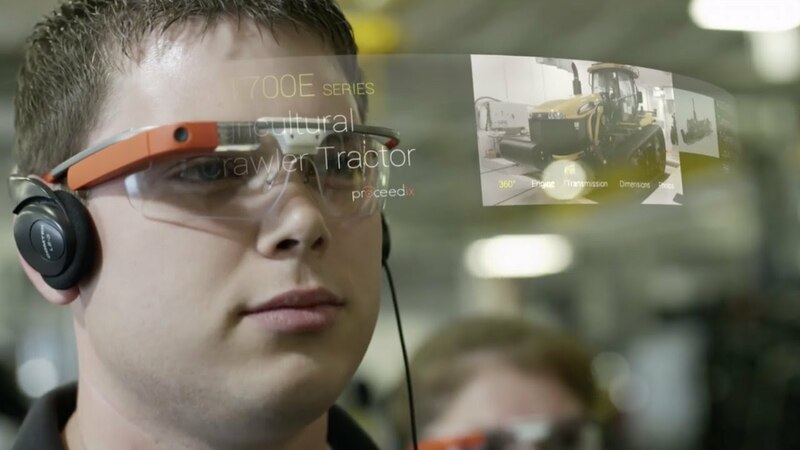 First announced in 2011, Google Glass is Google’s pet project to introduce wearable computers to the modern age. It fits like a pair of glasses (standalone or over an existing pair), and provides mobile computing functionality as an overlay to your normal vision. You interact with Google Glass using voice commands – “Ok Glass”, brings up your menu options, with activities such as sending a message, recording a video, performing a search, getting directions, and so forth. To the layperson, this combines the “talk to your technology” functions of iPhone’s Siri with the “talk to yourself” appearance of a Bluetooth earpiece. These are all great ideas(actually, the crosshairs one isn’t), but it doesn’t change the potential dangers of having a computer screen in front of our eyes at all times. Heads’ Up Displays(or HUDs) have been in use in the military for years, aiding pilots in maintenance level flight and proper altitude. However, these pilots must go through extensive training to learn how to focus between something in front of their plane, and something in front of their eyes. The two views must mesh, and the pilot must allow it to work as an overlay to his natural sight. With years of experience, the two views meld into one, maximizing the pilot’s ability to take in all the streaming data at once without losing focus on either. As a comparison, a YouTube search for “fall while texting” returns about 10,000 results. You see the problem here. The temptation to use this product irresponsibly (i.e. while driving) will be difficult to resist, and even more difficult to police. The good news here is that Google is open to suggestions for how to use this product. In fact, the previously-linked list of ideas comes from a contest Google held to select beta testers for its new product. That and about $1,500 in cash gets you on the short list of beta testers. Among those brainstorming for this new technology? Kevin Smith, Neil Patrick Harris, and LeVar Burton. Because if anyone needs to weigh in on this wave of the future, it’s Silent Bob, Doogie Howser, and Geordi LaForge. Who WOULDN’T love to have a virtual overlay over your vision at all times, giving you a GPS showing you where all the bad guys are, and telling you whether or not your health is at 100%? If it works in video games, how could it not improve real life?